Panasonic have today unveiled a new addition to their high definition camcorder range with the new lightweight HDC-TM25. The HDC-TM25 is a compact camcorder weighing just 169g and is equipped with 8GB of internal flash storage on to which it can record Full HD (1920 x 1080i) video. The lightweight pocket camcorder is also equipped with 16.8x optical zoom, a 2.7-inch (230k dot) LCD screen, dual microphones, an SD/SDHC/SDXC memory card slot, a mini USB 2.0 connector and a HDMI port. 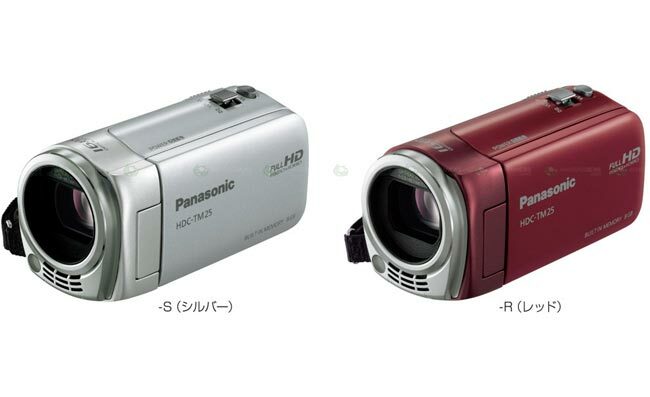 The new Panasonic HDC-TM25 camcorder will be shipping on February 25th and will be available in two colours silver and red, as pictured above.